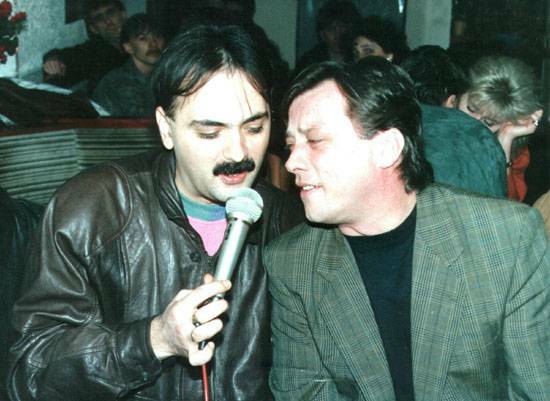 The memory of Halid Beslic will always remain fresh and vivid. He is not dead though, not that I know of anyway. I hardly follow up on former Yugoslav folk music these days. I know little of his history. I’m sure that there are a thing or two you can dig out on Google. What I do remember is that he was omnipresent on radio and TV. Any time you turned on the TV (and there were only two channels to choose from) Halid was at most ten minutes away. There was another Halid too. Halid Muslimovic. A competitor with a similar brand name. 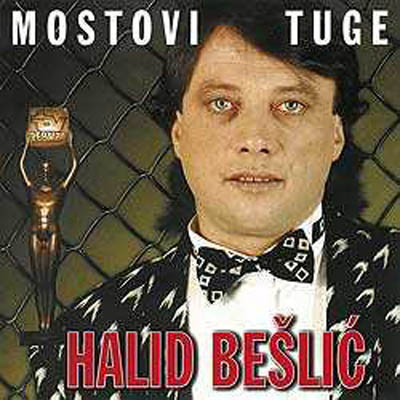 Since Halid Beslic couldn’t trade mark his name, Halid Muslimovic was a gentleman enough to go by the name of Halid M.
The top record is called “The Bridges of Sorrow” and the other one is called “Poison Me.” Wow, from this you could conclude that his songs were rather sad. I am just baffled by the photo on the cover of “The Bridges.” He’s obviously going to some award ceremony to accept a phony Oscar statue but he is caught sneaking in through the back door by the chicken wire. It’s all just very confusing. 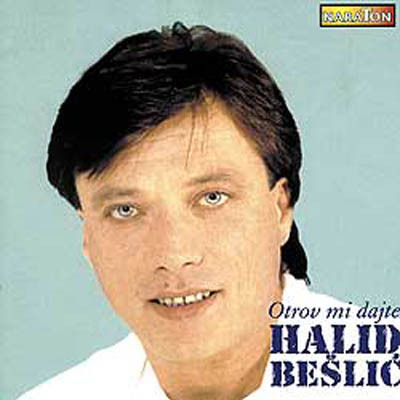 This entry was posted in Records and tagged Bad record covers, bosnia, folk, halid beslic. Bookmark the permalink.